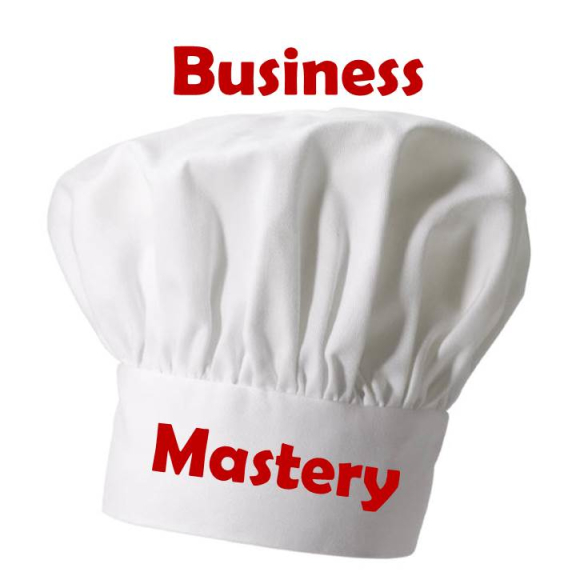 Do you have 'business mastery? For some people 'business mastery' might mean that they’re a specialist or master of their chosen field, so if you’re an accountant, it would be to be the best accountant. A master accountant. Or if you’re a carpenter, to have mastery in business could mean to you that you’re a master chippy. Of course there’s nothing wrong with these descriptions. However it’s not what it means to have Mastery in Business – that is where the business is working for you!. In the book the e-myth , Michael Gerber talks about the 3 hats that we often wear as business owners. The “technician” hat is often what we see ourselves as a master in. It’s the “skill” which enables the launch our business, in other words we can “do the do”. Although Gerber suggests that motor mechanics open restaurants, and chefs open garages: typically this is not the route most of us take. He puts this idea forward because without the ‘technical’ skills of the business, we’d keep our hands out of the day-to-day activities, and focus on mastering “the business”. Just as an FYI, the other 2 hats that Gerber mentions are that of the “entrepreneur”, and that of the ‘manager’ – each which have a different focus for growing the business. Of course, some people don’t want a business. I guess they just want a job where they don’t have to report to a boss. This is OK too. However there is SO MUCH MORE POTENTIAL in your business. Take a step back, for a moment, and think about how the business could support you without you showing your face, day in, day out? You might wonder what you would do – and if that’s the case that’s for a whole other blog on dreaming. About that yacht / car / holiday …? In the same way that you’ve built up your ‘technical’ mastery over many years. Business mastery doesn’t happen overnight. But as they say about planting trees: The best time to plant one was 100 years ago, the second best time to plant one is today. Are you a baker, a master chef or do you run a chain of bakeries? So to start mastering your business. What can YOU STOP doing and get someone else to do for you?